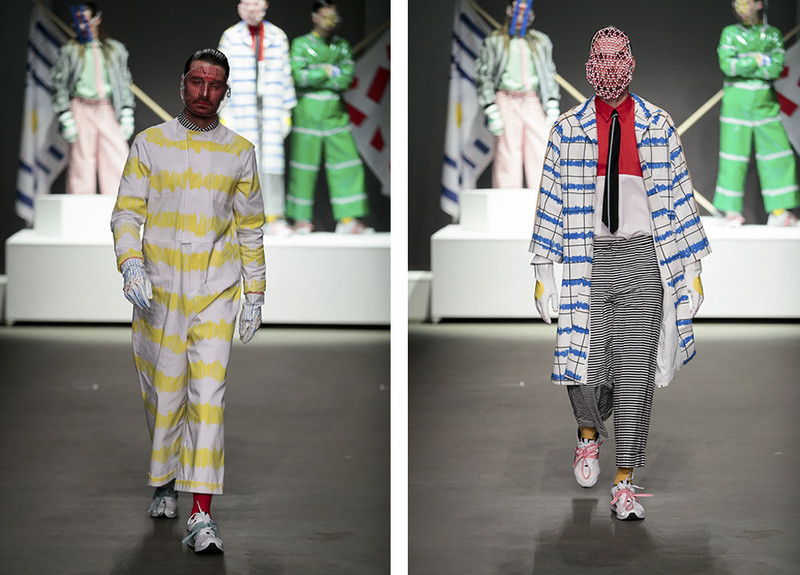 Dewi Dekker is a Dutch designer of men’s wear and she is part of the collective Das Leben am Haverkamp. 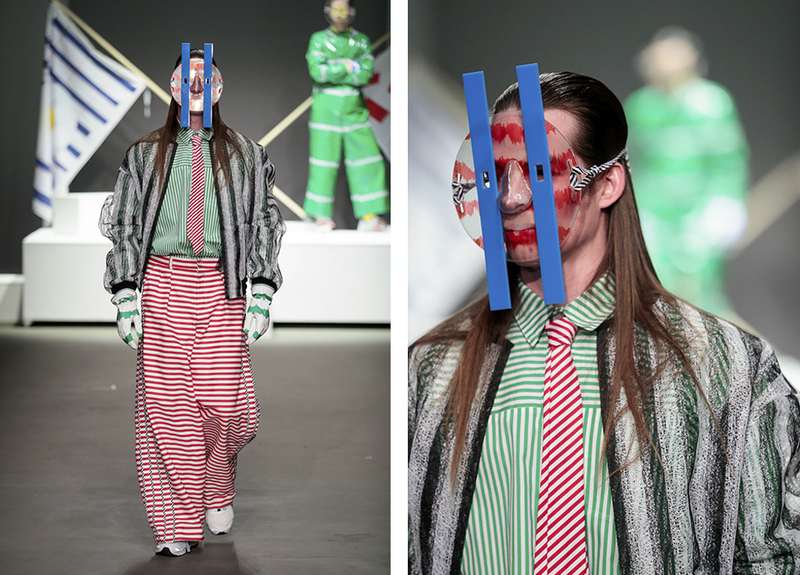 She has a playful look on men’s wear and sees it as her goal to introduce the ultimate balance between humor, everyday life and fantasy in men’s fashion. 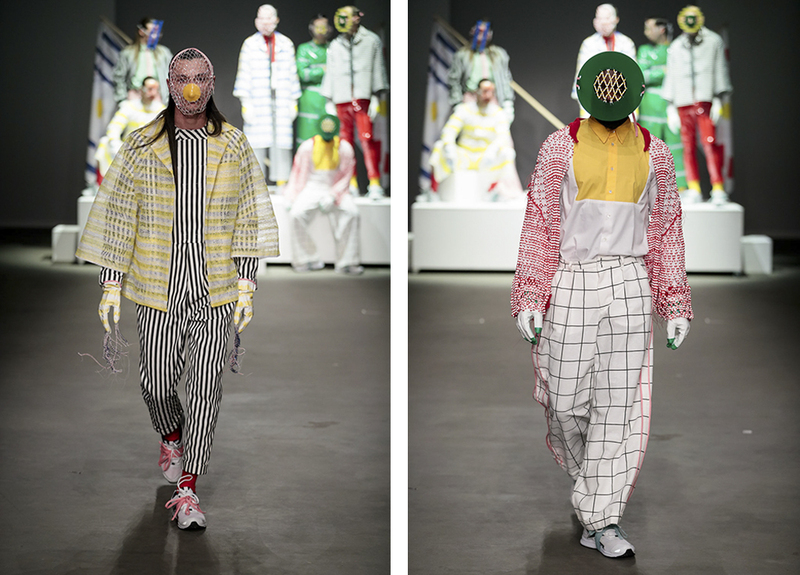 The absurdist and surrealist influences in Bekker’s designs are enhanced by the use of unconventional materials and the inclusion of ethnic references. 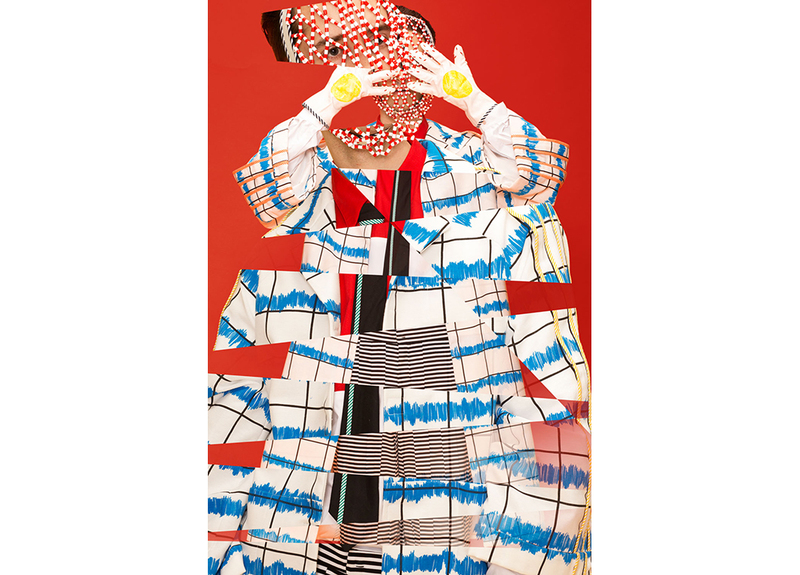 In addition to creating an alienating atmosphere, she also attaches great importance to the technical development of the pieces. 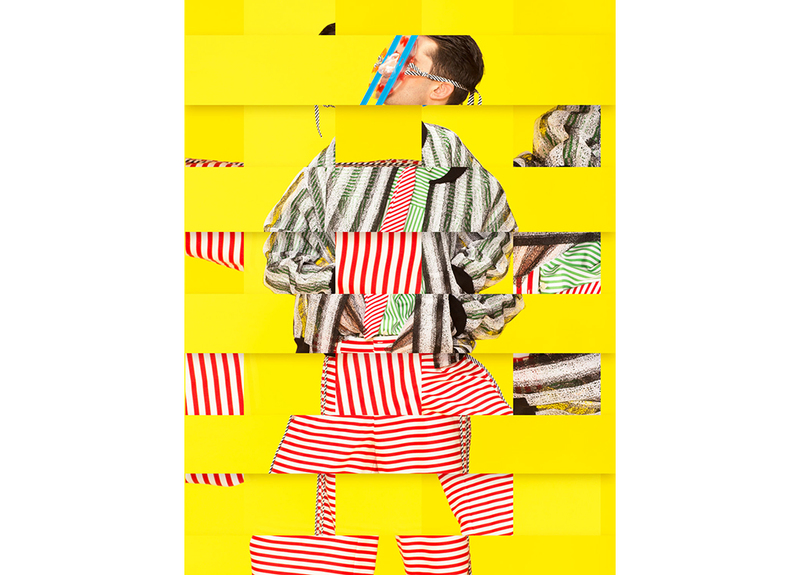 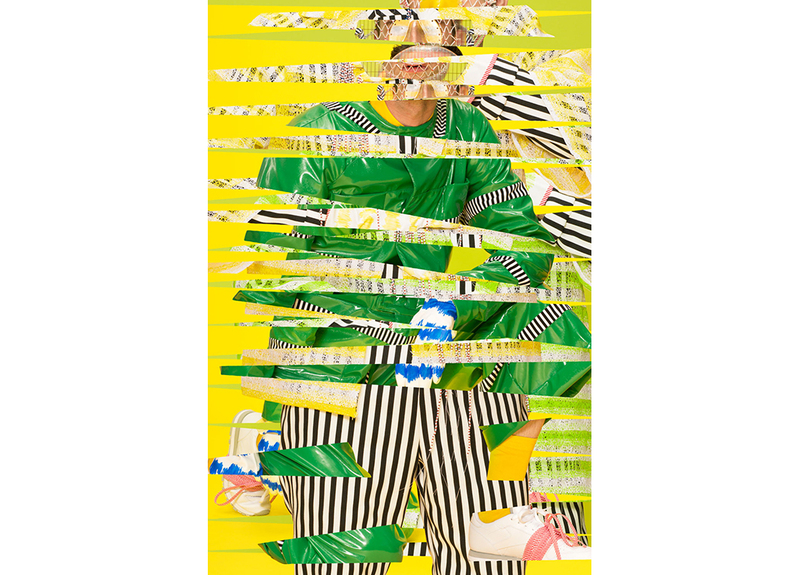 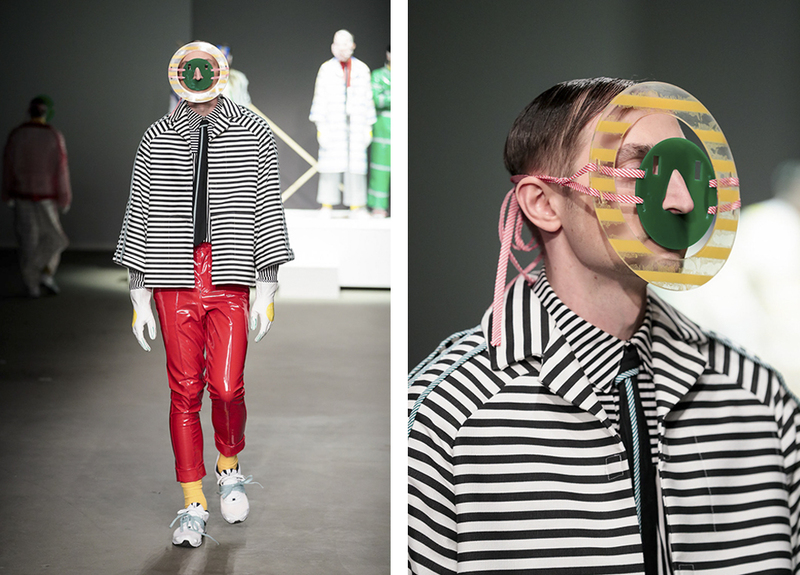 This results in an imaginative world of primary colors, plastic and classic men’s fashion. 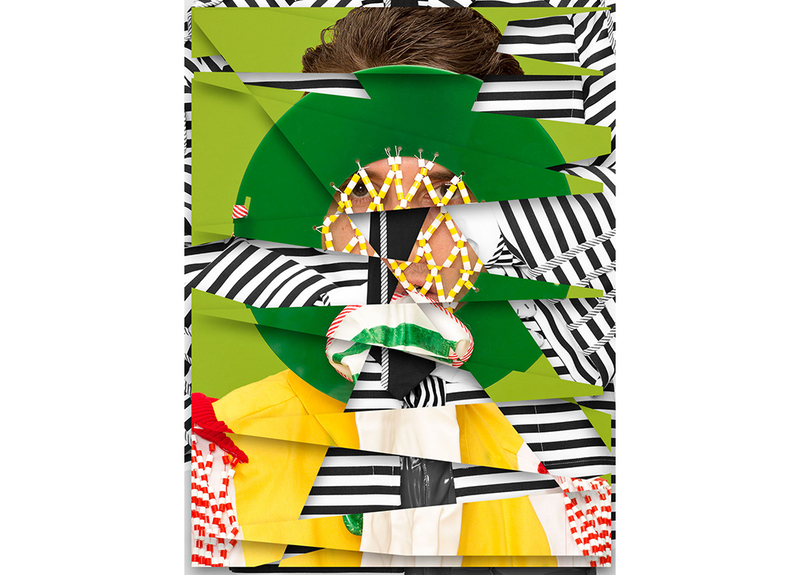 During her quest she researches a variety of themes, such as transformation, identity, alter egos, Bolivian medicine men, super heroes, traditional European festivities and James Bond. 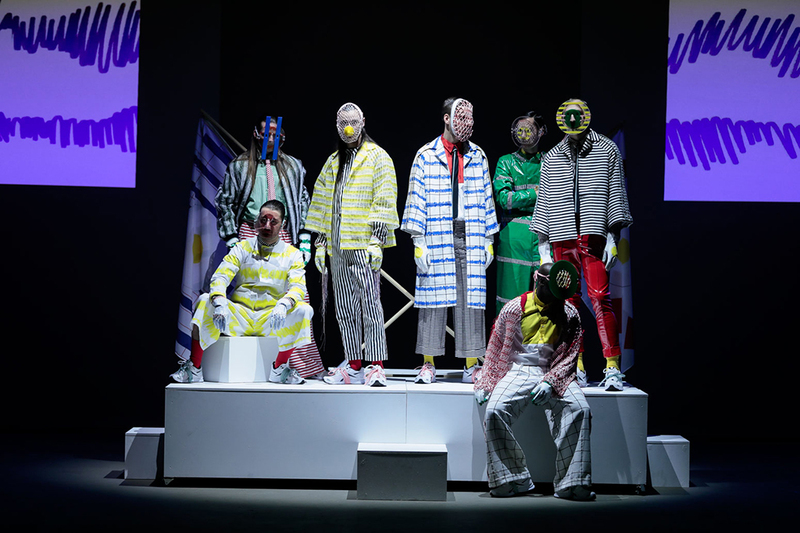 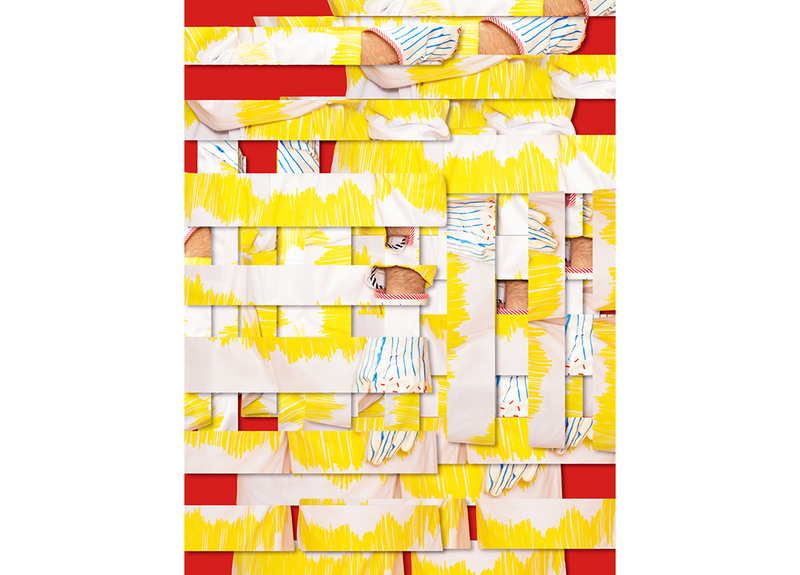 Her most recent collection represents an alienating group identity defined by an absurdist aesthetic consisting of bright colors, striped patterns, rubber gloves and masks. 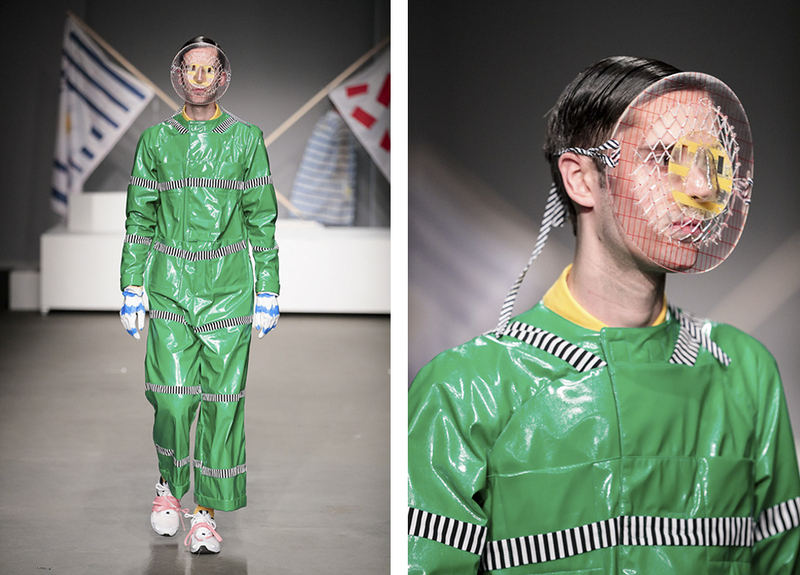 The collection was shown in January 2017 during the Mercedes-Benz Fashion Week Amsterdam and the Paris Men’s Fashion Week.